In need of student housing in Tours, but no time to take care of all the search work and all the steps to take? Study’O is the turnkey solution for your student housing in Tours. We propose you to integrate the Study’O Tours residence, located near the Faculty of Sciences of Grandmont, and close to public transports and shops. 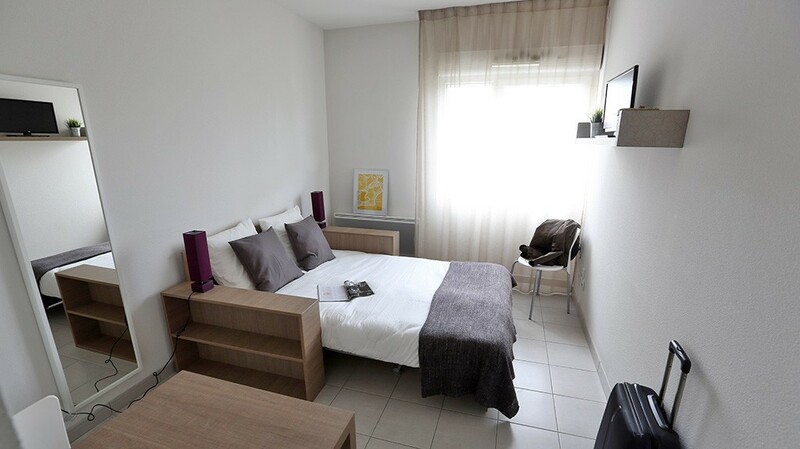 Our residence offers you the choice among 127 student accommodations in Tours, ranging from 19 to 35.5 m². All our apartments are equipped and tastefully decorated. You will find a kitchenette, a sofa bed (140 * 190cm), a desk area, a bathroom and toilet, and a broadband Internet connection. Please note that the reception is openfrom Monday to Thursday from 08:30 AM to 1:30 PM and from 3:00 to 6:00 PM and on Friday from 8:30 AM to 1:30 PM and from 3:00 to 5:00 PM. For more information, do not hesitate to contact us at 02 47 29 99 30 or by e-mail at tours@studyoresidences.fr.